On May 11th, 2017, Junior League of Cedar Rapids hosts JLCR: Fostering Strength, Iowa’s largest foster care advocacy event. JLCR is honored to host Gigi Edwards Bryant as keynote speaker for our 2017 event. 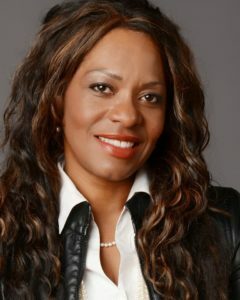 Gigi Edwards Bryant is a wife, mother, elected official, keynote speaker, business owner, and community volunteer. She was reared in the foster care system in the state of Texas. She believes that when she had no hope or saw no future at age 6, faith become her strength and hope became her guide. She is often called a survivor; because of her path through the states foster system included many homes, sexual and mental abuse, separation from her siblings, totally loneliness and aging out at 18 with no support and a child in tow. It is a story of having to survive in plain sight in a system plagued with issues surrounding some good people working together to make a difference in the lives of our children. Bryant serves her community through a number of organizations that address issues that create measurable, life enhancing, goals and demonstrated opportunities for education, drug and alcohol abuse recovery and our children in the Nations foster system.